Ati-Atihan Festival is a feast held annually in January in honor of the Santo Niño(Infant Jesus), concluding on the third Sunday, in the island and town of Kalibo, Aklan in the Philippines. The name “Ati-Atihan” means “to be like Aetas” or “make believe Ati’s.” Aetas were the primary settlers in the islands according to history books. They too are the earliest settlers of Panay Island where the province of Aklan is situated. The festival consists of tribal dance, music, accompanied by indigenous costumes and weapons, and parade along the street. Christians and non-Christians observe this day with religious processions. It has inspired many other Philippine Festivals including the Sinulog Festival of Cebu and Dinagyang of Iloilo, both adaptations of the Kalibo Ati-Atihan Festival. Anyway, the simple Ati-atihan happens last 20th day of May 2013, here in our Village. That time we celebrate the Kapistahan ni San Isidro Labrador. As one of the in-charge officer in the fiesta activities I am busy to cooperate among the other officer. We have many activities in our place such as Sagala or Santa Cruzan, Mass, Dance Contest, Singing Contest and games. By the way, I’m glad because they have many children joined this activities. While San Isidro Labrador parade in our place the homeowners has throws coins or food to the people who joined the parade. By the way the kind of occasions happened every year in our place and in some places during fiesta or the month of May. It was really fun and good occasion. Pasyón is a Philippine epic narrative of the Passion, Death and Resurrection of Jesus Christ. They have stanzas of five lines of eight syllables each, the standard elements of epic poetry are interwoven with a colourful, dramatic theme. The primary method of performing this text is its chanting during the Lenten season or Holy Week, and is a popular Filipino Catholic devotion. Musical accompaniment to the Pabasa is widely practiced though is by no means universal, and the most commonly employed instruments are guitar and keyboard. There are traditional tones that the Pasyón is set to, and these have been passed down through the generations. Recent innovations in the epic’s setting include contemporary popular ballads, pop music, and hymns. Well, the primary method of performing this text is its chanting during the Lenten season or Holy Week, and is a popular Filipino Catholic devotion. Anyway, in our Subdivision our neighborhoods were joined pabasa ng Pasyong Mahal yesterday (Yesterday/Miyerkules Santo). I am the one who joined this pabasa and helped to prepare the food for our merienda. They have many neighbors joined this pabasa and I really happy because every one of us are excited to join this pabasa ng Pasyong Mahal. We started at 3:00 pm and finished at 6:00am. Palm Sunday is a significant event in the Catholic Church. It is a Christian moveable feast that falls on the Sunday before Easter. The feast commemorates Jesus’ triumph entry into Jerusalem, an event mentioned in all four canonical Gospels. In many Christian churches, Palm Sunday is marked by the distribution of palm leaves (often tied into crosses) to the assembled worshippers. The difficulty of procuring palms for that day’s ceremonies in unfavorable climates for palms led to the substitution of boughs of box, yew, willow, olive, or other native trees. The Sunday was often designated by the names of these trees, as Yew Sunday, or by the general term Branch Sunday. Anyhow, I am glad that my hubby, Vince and I are able to attend the Palm Sunday and I also bought palm fronds (palaspas) for the cost of 5 pesos per bundle. 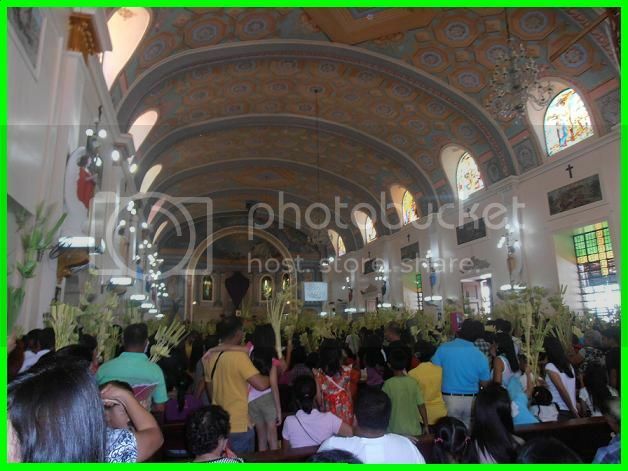 Palaspas refers specifically to palm fronds that Filipinos intricately decorate and take to church on Palm Sunday. After the fronds are blessed by the priests, Filipinos take them back home. Well, they have many people to attend the Palm Sunday and almost bring palaspas. I said that many people are attending to the mass because the Cathedral Church in Lucena City is crowded. I took a photo during the priests blessed the fronds. 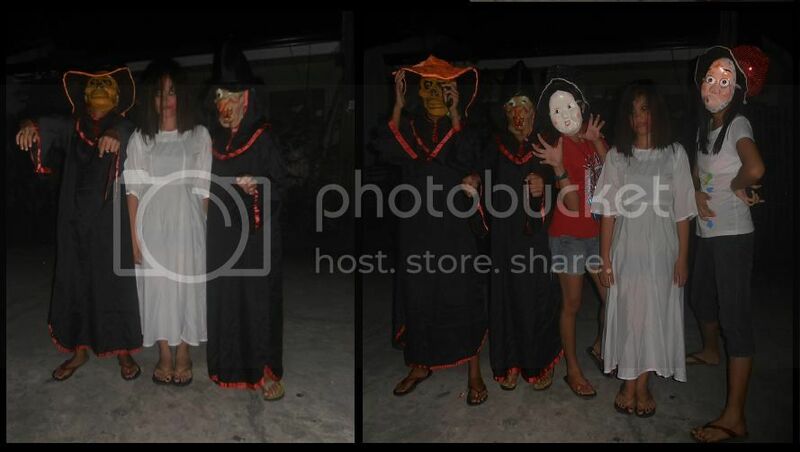 The photo below is the trick or treats here in our Subdivision last October 31, 2012. There are five teenagers and all of them are our co-members in MSK (Munting Sambayanang Kristyano). Just because of Halloween, they planned trick or treat and they need to wear the scary costume for the trick or treats. They travel from house to house to ask for treats such as candy or money. The two teenagers wearing mascara because there’s no costume available. Actually, our subdivision has no Halloween party, I’m glad they did it, and our subdivision makes happy because of them. Anyway, I took a photo as a souvenir. The niyogyugan festival celebrating with week-long activities at Perez Park, Lucena City; it started from August 13 until August 19. Lucena City — Quezon Governor David Suarez and Vice Gov. Vicente Alcala launched the week-long Niyogyugan Festival leading to the 134th birth anniversary of the late President Manuel L. Quezon. It is a Celebration of the Tree of Life Province of Quezon and promoting the Quezon coconut industry and its other agricultural products from 20 municipalities here in Quezon Province. They have the niyogyugan grand parade, Niyogyugan Queen Competition, Niyogyugan Dance Competition, the ribbon cutting and opening of the agri-tourism trade fair. Anyway, congratulations to Unisan, Quezon for the winners of Niyogyugan Queen Competition and Niyogyugan Dance Competition and the winner for the agri-tourism trade fair. 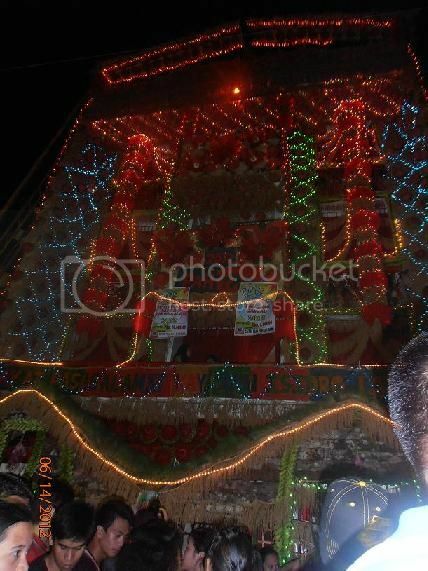 Every month of May have many places celebrates the festival. A small town of Tayabas, Quezon they celebrate the number one tradition in Mayohan sa Tayabas or it is famous hagisan ng suman every 15th of May at 3:00 in the afternoon. 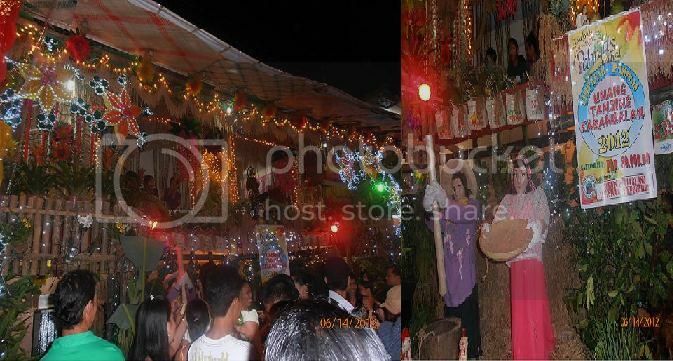 The hagisan ng suman and other pabitin as their sweet celebrating as yearly panata or sacrificial devotion to San Isidro, Labrador, was a Spanish day laborer known for his goodness toward the poor and animals. He is the Catholic patron saint of farmers and of Madrid and of La Ceiba, Honduras. Anyway about the hagisan ng suman parade is one opportunity to share the prosperity of people. They have bundles of suman pabitin or display in front of house. 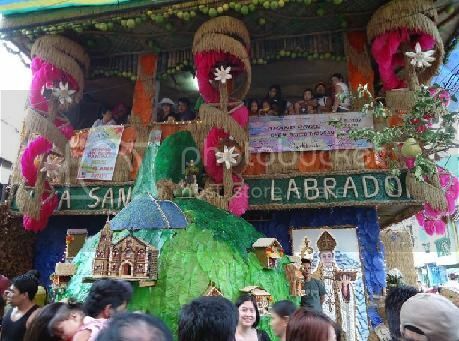 As the image of San Isidro Labrador passes by pabitin should implied of its colorful display of abundance, which further suman, includes banana, buko, pineapple and other summer fruits. Hagisan ng suman is full of joy for both the giver and the receiver. This picture below when my family make a suman or sticky rice. 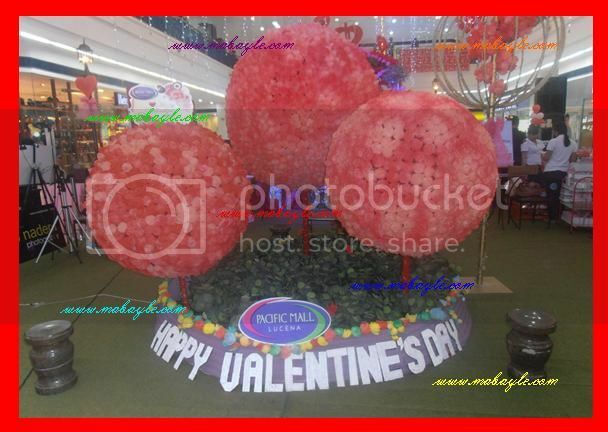 The town of Lucban Quezon is known as the famous pansit lucban, langgonisang lucban, and Pahiyas Festival. The Pahiyas Festival is celebrated in honor of San Isidro Labrador, the patron saint of farmers. 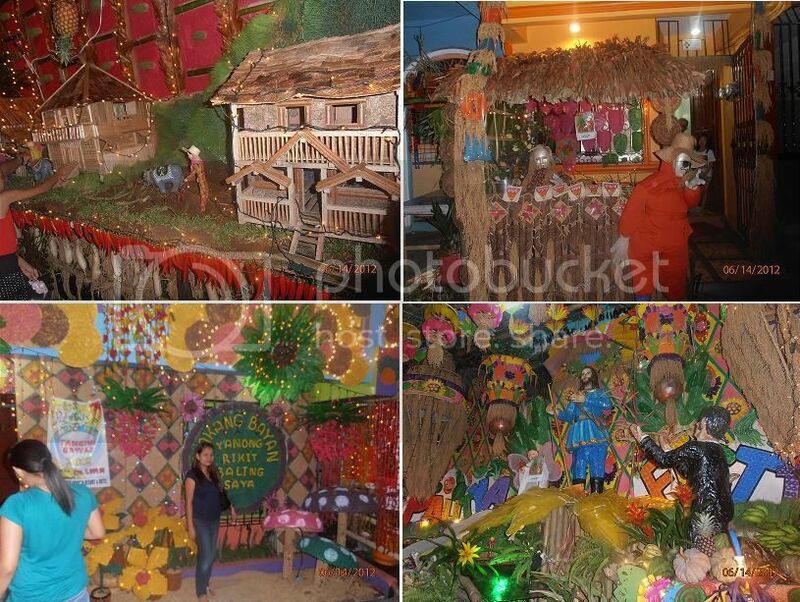 Every 15th month of May this is the one of the Philippine’s most colorful festival and tourist attraction. 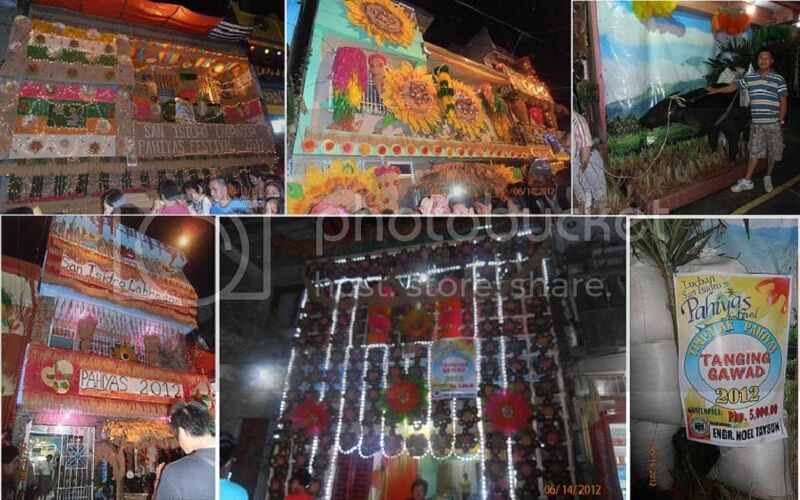 They change the route of Pahiyas Festival every year, for the reason that to give other houses to decorate. They have a Pahiyas Festival Decorations contest, the grand prize is cost P 100,000.00, the first price is cost Php 80,000.00, second is cost Php 60,000.00 and the third is cost Php 15,000.00 and they have more consolation prices which is cost Php 5,000.00. The most familiar to all is the colorful kipping decoration it is made of rice with a leaf-shaped wafer design. Most of the houses have a colorful kipping decoration. 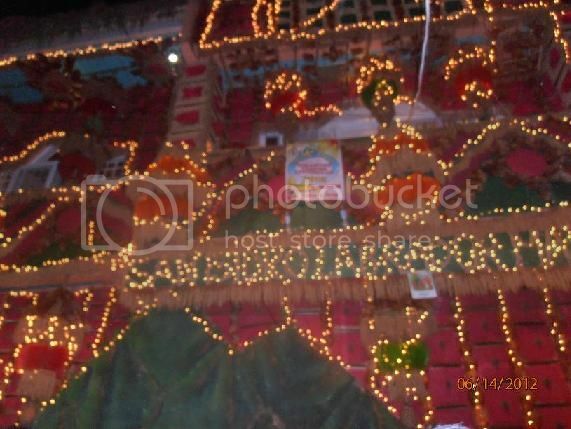 It is the one decoration that gives the shining and fantastic Pahiyas Festival. I know that the best time to watch the Pahiyas is early in the morning because you can see the procession of the image of San Isidro that will pass along this route, as if blessing the families and for plentiful harvest during the coming planting season. My hubby and I went to Lucban, Quezon at 6:30 pm it’s almost 30 minutes from our town of Pagbilao, Quezon. The houses of Lucban are decorated with fruits, vegetables, kipings, carabao which is symbolized the farmers, the different decorations when you see the lifestyle in the farm. They have much beautiful attraction; I want to take a photo of full view houses decorations but they have many people to captured and walk. Here are some photos taken. geometrical designs in their body, including their arms, legs, and torso dramatizes stories in which the town’s ancestral beings laid down every feature of the area, especially their way of life. It includes Garden Show and Food Festival, the Karosa Parada and Carabao-Painting Contest; the Grand Coronation Night for the Search for Binibining Pintados; Sinadysa sa Suba and the Pinta Lawas Contest, and the much awaited Tribe Competition. Here are some photos that I captured in google, the colorful carabao- painting contest and traditional tattoo that I really amazed and very nice competition to Pintados De Pasi Festival 2012 onIlo-IloCity, hosted by kapuso mo, JESSICA SOJO on GMA 7.